There was a plethora of holidays to choose from today. As I was talking to a co-worker (yep, I’m finally feeling good enough to be back at work, although I feel like I ran a marathon as my body is not used to anything other than resting), he said I had to pick the holiday with the most excitement, drama, and blood and gore. So, the only option had to be the Revolución mexicana. Often categorized as one of the greatest upheavels of the 20th century, the Mexican Revolution began in 1910 as an uprising led by Francisco I. Madero against dictator Porfirio Díaz, who had been in power for over 30 years with military rule. An important sociopolitical event in Mexico, the Revolution turned from a revolt against the established order to a multi-sided civil war, producing the Mexican Constitution of 1917, and triggering the creation of the National Revolutionary Party or the Institutional Revolutionary Party, which held power under various leaders until 2000. Causes of the uprisings include the brutal dictator ruling of Díaz, exploitation and poor treatment of workers, and the great disparity between rich and poor. Historians don’t quite agree when the Revolution ended, although is is thought at least 1920, with sporadic uprisings continuing into the late 1920s. 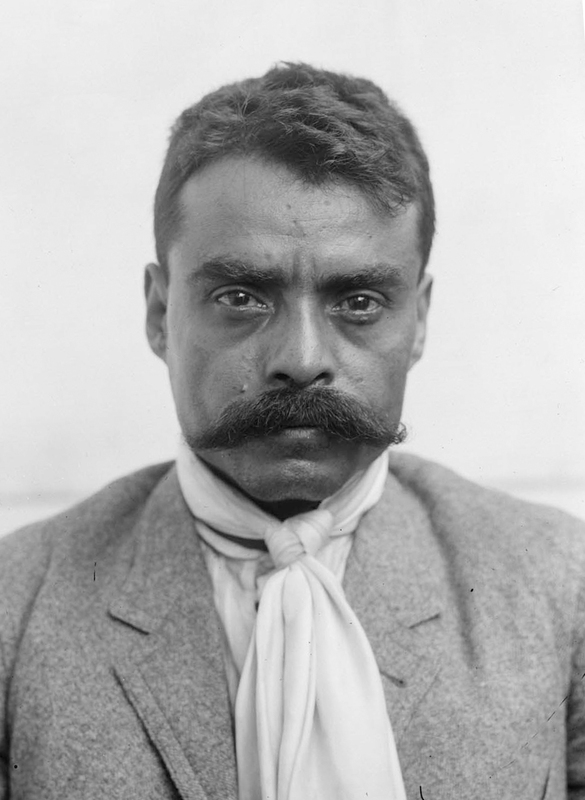 There were many different players in the Mexican Revolution, too many to all name here, but a couple you might recognize: Emiliano Zapata – sometimes considered a bandit, a hero, or a true revolutionary working for the peasants; Pancho Villa – leader, prominent general and the “Centaur of the North”. Now the Mexican Revolution is celebrated on November 20th, the anniversary of the 1910 start of the movement. Parades, civic ceremonies, speeches, and general celebrations happen, with a larger parade in Mexico City’s Zocalo. Mexican schoolchildren dress as revolutionaries. As the holiday falls on a Sunday this year, banks, government offices and many businesses will be closed tomorrow for the occasion. This entry was posted in 09 NOVEMBER - 30 Holidays Celebrations and tagged holiday, Mexican Revolution, Mexico by lschwietz. Bookmark the permalink.